MUSIC VIDEO: “Mind Games” is John Lennon’s fourth post-Beatles album, and was recorded and released in 1973. In his lifetime John Lennon favored playing a Rickenbacker 325, a Epiphone Casino, a Gibson J-160E. The Beatles evolved in 1960 from Lennon’s first band, the Quarrymen, which he founded in September 1956 when he as 15. The band was named after Quarry Bank High School, which opened in 1922 in the Liverpool suburb of Allerton, and is now known as Calderstones School — a specialist science college that is a specialized secondary school or high school. Beatlemania struck the UK in 1963, but the group’s historic February 1964 US debut appearance on The Ed Sullivan Show marked their breakthrough to international stardom. Apple Corps Ltd (informally known as Apple) was founded in London in January 1968 to replace Beatles, Ltd. and produced its chief division Apple Records. Presidential candidate Richard M. Nixon believed that Lennon’s anti-war activities could cost him his re-election, especially with a rumored concert at the same time as the Republican National Convention in 1972 in San Diego. Republican Senator Strom Thurmond suggested in a February 1972 memo that “deportation would be a strategic counter-measure” against Lennon, and the next month the United States Immigration and Naturalization Service (INS) began deportation proceedings, arguing that Lennon’s 1968 misdemeanor conviction for cannabis possession in London had made him ineligible for admission to the United States. In 1978, Apple Records filed suit against Apple Computer (now Apple Inc.) for trademark infringement. The suit was settled in 1981 with the payment of $80,000 to Apple Corps, and an agreement that Apple Computer would stay out of the music business. When Apple computers could play music with MIDI control, another suit was filed and Apple Computer settled in 1991 for $ 26.5 million. Apple Computer was again sued by Apple Corps in September 2003 in response to Apple Computer’s development of the iTunes Music Store and the Apple iPod, which Apple Corps asserted was a violation of Apple’s agreement not to distribute music. On May 2006, Apple Corps lost the case. On November 16, 2010, Apple Inc. launched an extensive advertising campaign that announced the availability of the Beatles’ entire catalogue on iTunes. On October 25, 2012, it was announced that Apple Inc. (formerly Apple Computer) obtained the registered trademark and became the owner of the logo for Apple Corps. Apple Inc. obtained the trademark after winning an attempt to block the transfer by a company named Apple Box Productions Sub Inc.
Of course, founders of both Apple companies are dead. 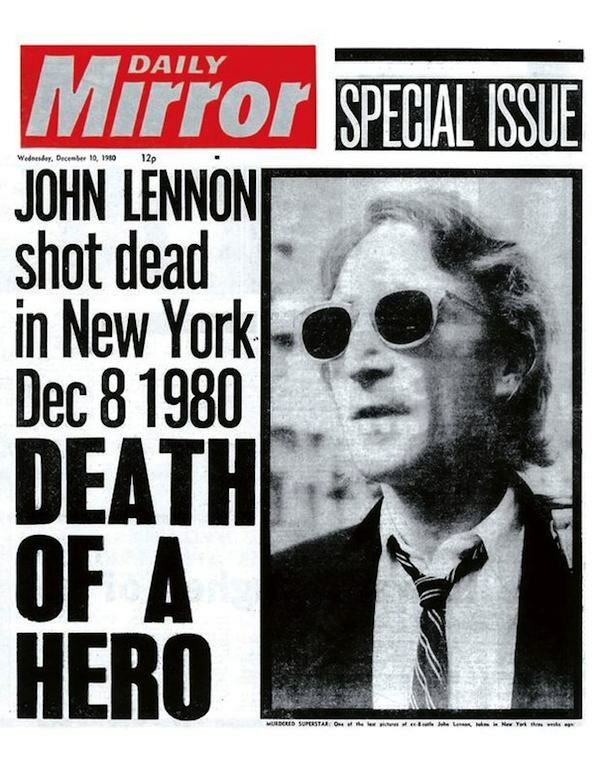 Front page of the British national daily tabloid newspaper Daily Mirror.